Halloween nails with Faby | Light Your Nails! *____* è troppo bella Simo!!!! I am not a big fan of Halloween nail art, but this one looks simple and wonderful and I like it very much that it is matte! Thank you! Kiko Mirrors are great stampers! It's so neat and flawless, gorgeous! The matte topcoat definitely ties this whole mani together beautifully. I love what you did even though you don't celebrate Halloween yourself. These look awesome! I really like the purple base you used! Thank you! The base inspired me the whole look! Beautifully done! 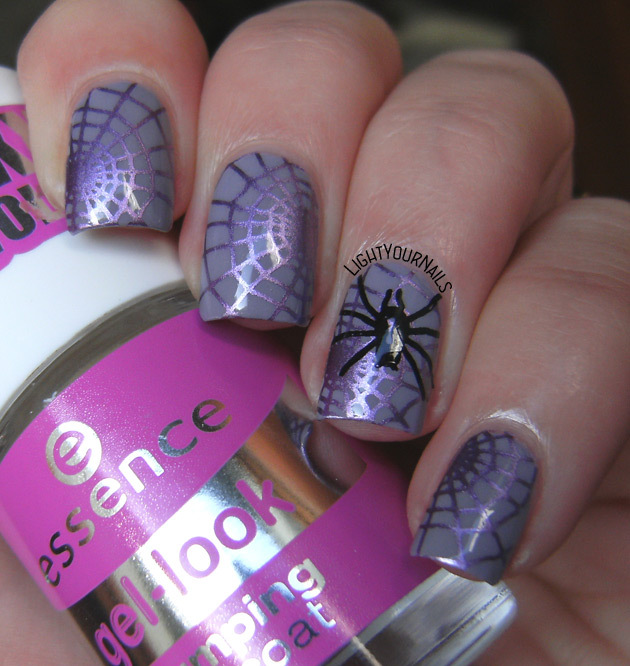 I love purple Halloween inspired nails. 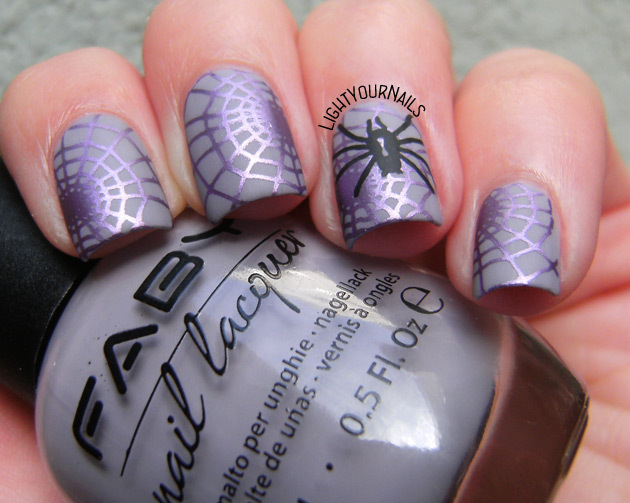 purple and spiders? I'm so conflicted! Lovely stamping - it looks fantastic matte!